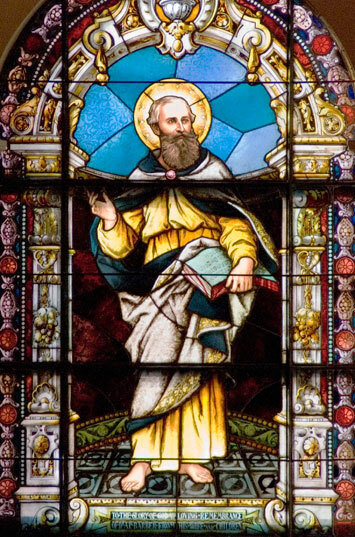 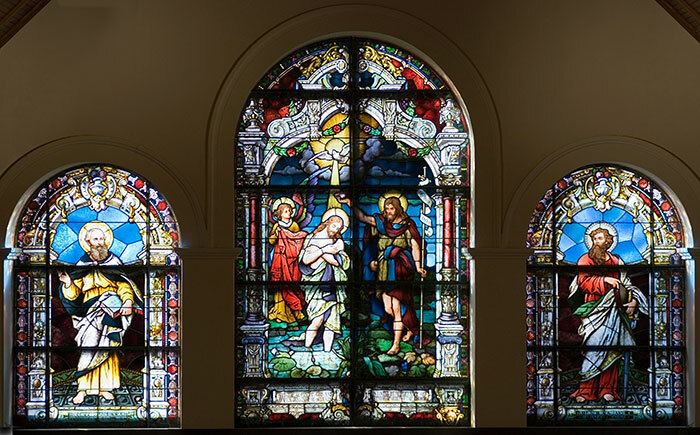 Oakbrook Esser Studios restored three large stained glass altar windows for Trinity Episcopal Church in 2002. 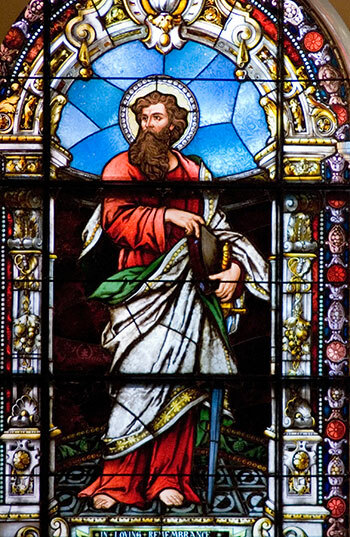 The windows were made by the Franz Mayer of Munich Studios in 1890.
for the likenesses of Mayer’s St. Luke (left) and St. Paul. 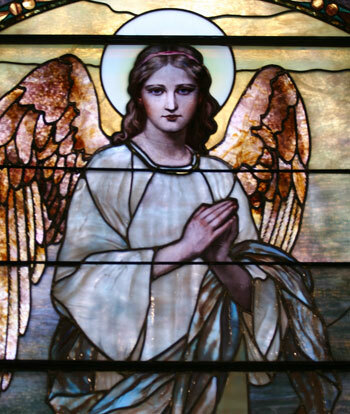 The members of Trinity Episcopal Church were pleased with our restoration work of the Franz Mayer windows; in June 2006, Oakbrook Esser Studios was commissioned for the stained glass restoration of their original Louis Comfort Tiffany Studios stained glass angel window.